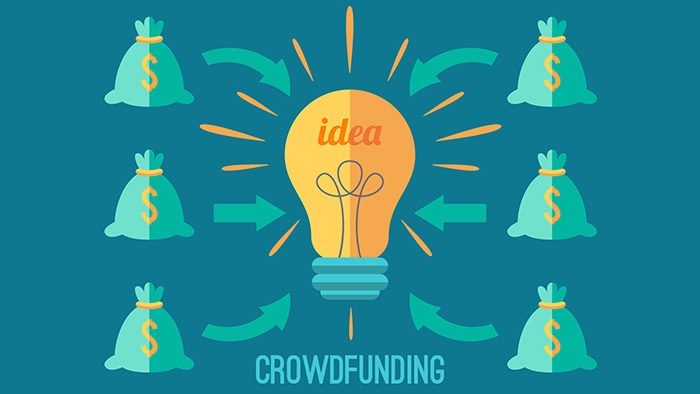 CROWDFUNDING is the practice of funding a project or venture by raising monetary contributions from a large number of people, typically via the internet. Crowdfunding is a form of alternative finance, which has emerged outside of the traditional financial system. The crowdfunding model is based on three types of actors: the project initiator who proposes the idea and/or project to be funded; individuals or groups who support the idea; and a moderating organization (the "platform") that brings the parties together to launch the idea. In 2015, it was estimated that worldwide over US$34 billion was raised this way. Comparison of crowdfunding services - Wikipedia. ArtistShare - since 2003. "Where the fans make it happen!" EquityNet - since 2005. "Leading Business Crowdfunding PLatform." Fundageek - since 2011. As of the end of 2013 the web site is closed and underlying technology and domain is for sale. Fundly - since 2009. "Raise Money For Anything." Fundly is fast, easy and has no raise requirements. FundRazr - since 2009. "Change a Life. For Good." Crowdfunding & fundraising. GiveForward - since 2008. The #1 Way to Raise Money for a Loved One | Build Your Community." GoFundMe - since 2010. "Crowdfunding for Everyone!" The World's #1 Personal Fundraising Websites. Indiegogo - since 2008. "The World’s Crowdfunding Engine." As the largest global fundraising site, we help individuals, businesses, and non-profits raise money online. Kickstarter - since 2009. "Our mission is to bring creative projects to life." MicroVentures - since 2010. "Invest in Startups." Pledgie - since 2006. "Helping you help others." Plumfund - since 2006. "Giving feels good." Free online crowdfunding and fundraising website." RocketHub - since 2009. "Thousands of people are raising millions of dollars on RocketHub." SeedInvest - since 2011. "Startup Investing, Simplified." Sellaband - since 2006. "Where fans invest in music!" YouCaring - since 2011. "The Leader in Free Online Fundraising." Compassionate Crowdfunding – Optimized for Success.